By Tim Fischer & William Flynn. 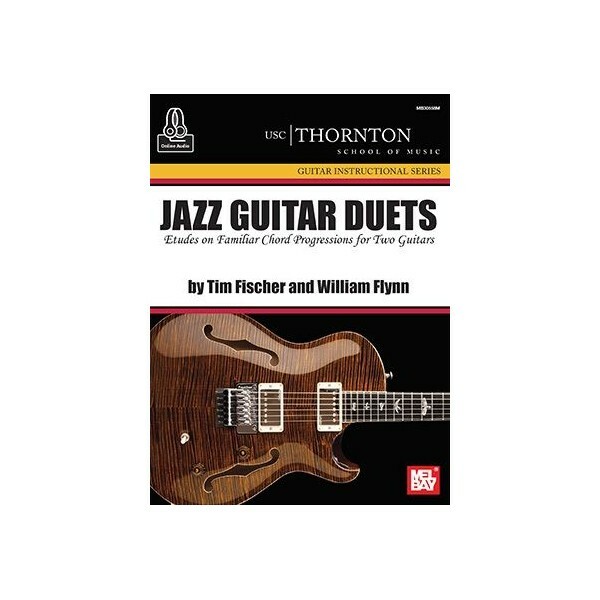 Jazz Guitar Duets will take you on a journey through the entire range of the fretboard with 10 great jazz duets. Each duet is written in standard notation and is accompanied by audio recordings and in-depth analysis. Read through the etudes alone, or together with a friend to strengthen your sight-reading skills and develop your ability to read one part against a contrasting part. The accompanying online audio features tracks of the authors playing each duet together, along with additional tracks that isolate each part. Play along with one track to learn the nuances of jazz phrasing and articulation, or play along with the other to create a virtual duet. Study the lines and read the analysis to develop stylistically authentic jazz vocabulary while increasing your awareness of two-part counterpoint in the context of jazz harmony.